The majority of the one-time title insurance premium covers the cost to discover, identify and repair issues caused by events that occurred in the past. Because of these preventive measures, title insurance is fundamentally different from all other forms of insurance, which charge annual premiums to provide insurance protection for future events. The curative work performed by title agents minimizes the fear, disruption and distress that title claims have on homeowners. One way to compare title insurance to other lines of insurance is to imagine if a homeowner’s insurance agent came into a home and inspected all of the wiring at no additional cost to the owner. The agent then repaired any and all faulty or frayed wiring at no cost and guaranteed that none of the wiring that was repaired or any wiring that the agent could not see, would cause a fire. 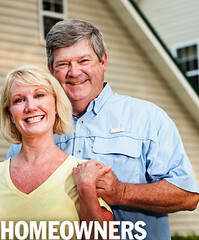 Finally, the agent charged a one-time fee for the inspection, repairs and guarantee that would be in effect as long as you or your heirs owned the property. The title industry finds the faulty wiring, fixes the faulty wiring and charges a one-time premium to guarantee its work, based on the value of the property. When property changes hands in the United States, it is through a private contract that is recorded in the public record. No matter the type of purchase, but especially a foreclosure, it is important that all documentation is in order. Commitment to accuracy and quality assurance is the foundation of title insurance. This commitment ensures fewer problems for homeowners and provides assurance that they won’t lose their investment. Consumers have a choice shopping for the best price and in selecting the provider of their title insurance related services. Asking questions can save you money the next time you buy or refinance a home. When refinancing with your existing lender, ask for a copy of your original lender’s title insurance policy. When purchasing a home, ask your real estate agent or the home seller for a copy of any existing owner’s title insurance policy written within the previous seven years. When placing a title order, provide your settlement agent or lawyer with a complete, legible copy of any prior title policies. Finally, ask your settlement agent or lawyer if any discounted title insurance rates are available based on your situation. The American Land Title Association helps educate consumers about title insurance so that they can better understand their choices and make informed decisions. Homebuyers, regulators and legislators are encouraged to check out the website, www.homeclosing101.org, to learn more about title insurance and the closing process. Title Junction is a full service real estate title company serving the area of Fort Myers, Cape Coral and the entire state of Florida since 2005. The company handles a number of real estate title services for both commercial and residential properties. Employees of Title Junction can also act as a witness in courtesy closings as well as an escrow agent or a notary public. Please contact Title Junction, LLC for further information @ 239-415-6574 or www.title-junction.com. Posted on February 15, 2013, in Title and tagged American Land Title Association, Closing, Fort Myers, Homeowner, Jennifer Ferri, Legislators, Owner's Policy, Property Guiding, Public Records, Regulators, SWFL Real Estate, Title Claims, Title Insurance, Title Insurance Policy, Title Junction, Title Work, United States, www.homeclosing101.org. Bookmark the permalink. 3 Comments. To make sure all of the property you are about to purchase is on the right condition take a glance, to make sure you are dealing with the right agent do a research but for unforeseen crisis you can do nothing but to make sure to avail this type of insurance service. Thanks so much for your input & for following our blogs! Reblogged this on Ashar Property Appraisals.